Wow - who knew you needed shawl pins? But now we do know, and we know just the shawl pins you need - to get for yourself or to give as a gift. Shawls have been the rage, well, for centuries - but they are raging especially hard right now! And these are the perfect finishing touch. 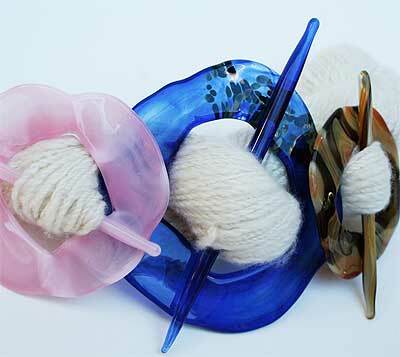 Moving Mud's hand blown glass works of art are one of kind perfect for any lovingly made knitting project. Gorgeous hand-blown shawl closures or pins from Moving Mud, artisans in glass. Dramatic, large, beautiful - it can take a hold of even the thickest of yarns.